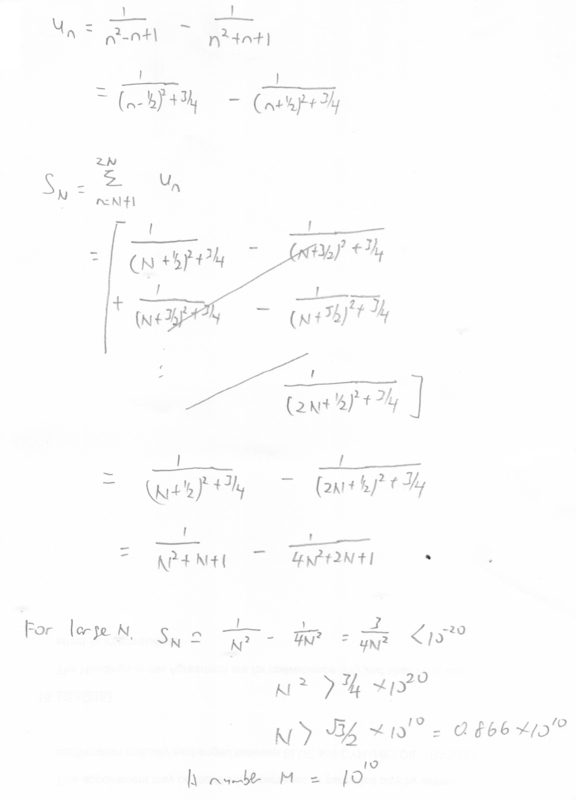 In this question, we have used “Completing the square” for the “Method of Difference”. For the second part, if students try to solve the algebraic equation or use the graphic calculator, they would not be able to solve. 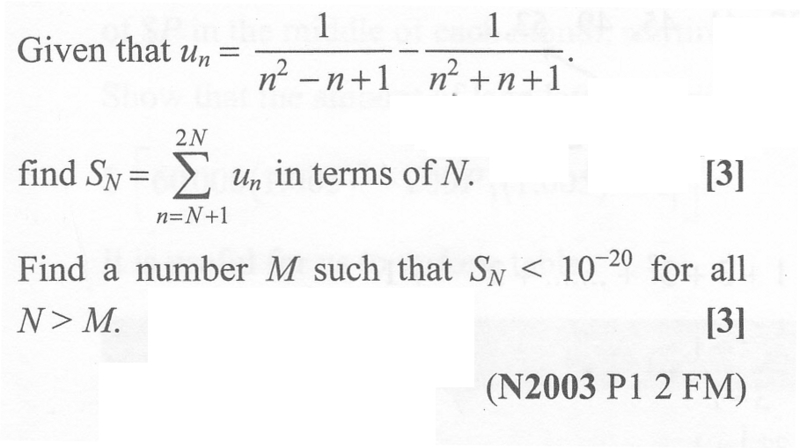 Instead, they must find the limit of the series for large N.